Speaking of contemporary architecture, you can be assured that its styles are expressive and even experimental, whilst being functional at the same time. Contemporary architecture features designs that are “in the now” but also with its own twist, no matter flamboyantly grand or modestly chic. 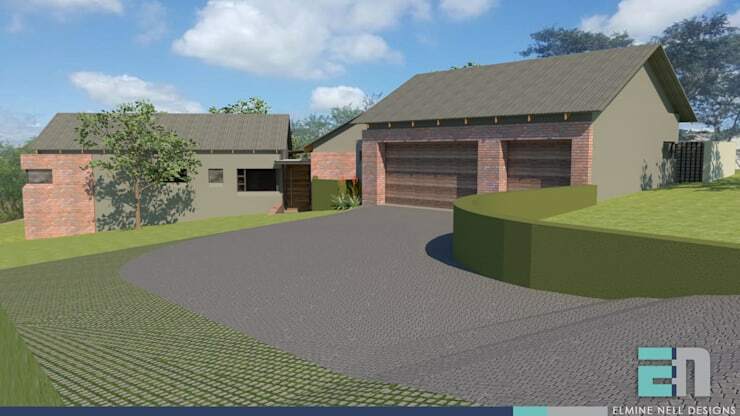 In this post, we uncover the stunning custom property design by skilled ENDesigns Architectural Studio in Nelspruit. 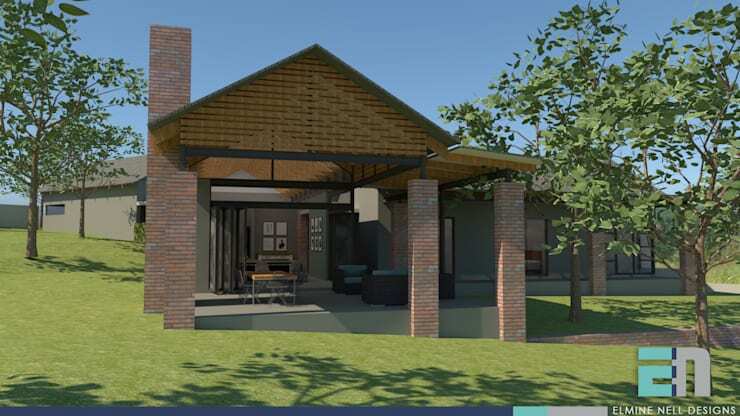 Their services span throughout architectural projects including concept design, sketch plan design, and contract administration throughout the project. 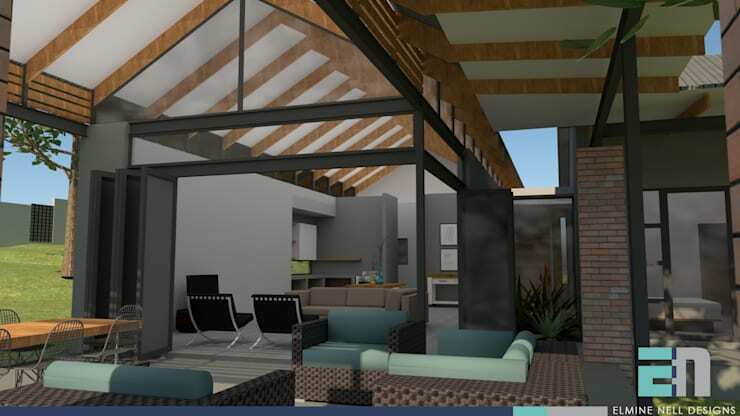 Let’s take a look at one of their amazing projects HOUSE 1758. In contemporary architecture, the use of curved and straight lines creates all sorts of eye illusions. This includes creating a double volume space even when that isn’t the exact measurements. The beams on the ceiling form a triangle and raise the ceiling height. This design opens up this contemporary living room even more. For contemporary style houses, architects would utilize glass as one of the main materials as mentioned earlier in the ideabook. When it comes to windows, the professionals often prefer more windows even on the ceilings to draw in natural light and brightening up the space. This includes these large glass doors as seen here, which exits onto the garden in the back of the property. 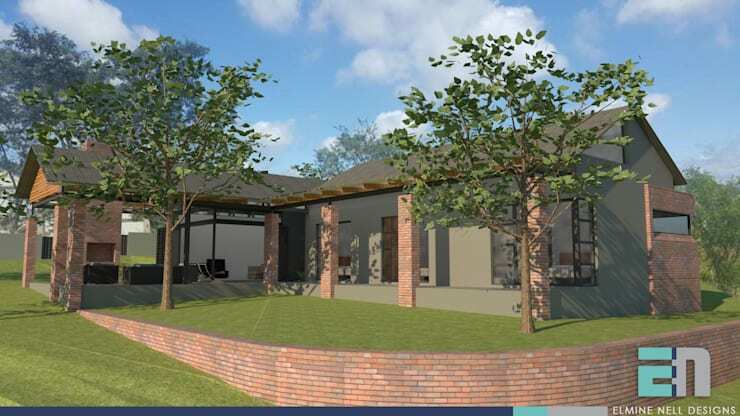 While property designs that feature a lush garden almost always catch the eye of any homebuyer, the garden is not the only aspect contemporary architects in Nelspruit uses. When it comes to this form of design, its imperative to create sustainability and incorporating natural heat generation and energy saving features is a must. 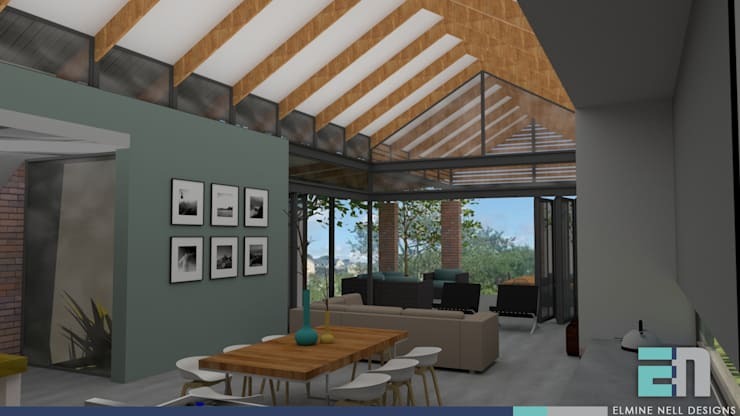 Contemporary properties teach individuals to practice sustainability and enjoy an almost artistic way of designing a building. Commercially this design also helps many business owners to enjoy beautiful and innovative structures. Are you changing up your home to exude a more “now” factor? Have a look at what’s trending with floor tiles for 2019 and make it count for your home sprucing plans. You can also find a variety of architects at homify to assist you with your property’s renovations, designs, and décor to name a few. Are you feeling the inspired to venture towards contemporary designs for your home? Tell us about it right here at homify!